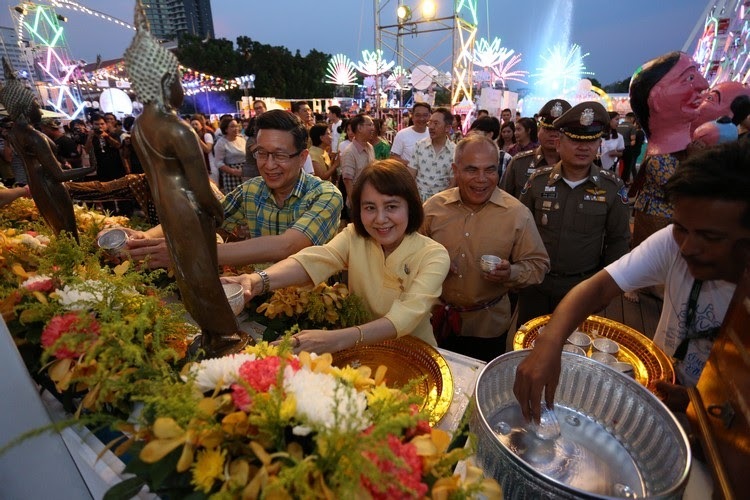 Thai Beverage Public Company Limited in cooperation with the Ministry of Tourism and Sports; the Ministry of Culture; the Royal Thai Navy; Bangkok Metropolitan Administration and the Tourism Authority of Thailand as well as other alliances held the press conference of the 5th “Water Festival 2019.” The grand event celebrates the joy of Thai New Year and the exquisite Thai ways of living under the concept of “Auspicious Thai New Year” to gracefully start the New Year while preserving Thai cultural tradition. As well as inviting tourists to experience the charm of Thai culture and the traditions of Thailand, to promote Thai heritage to both Thai people and to the world through the concept of sustainable tourism. 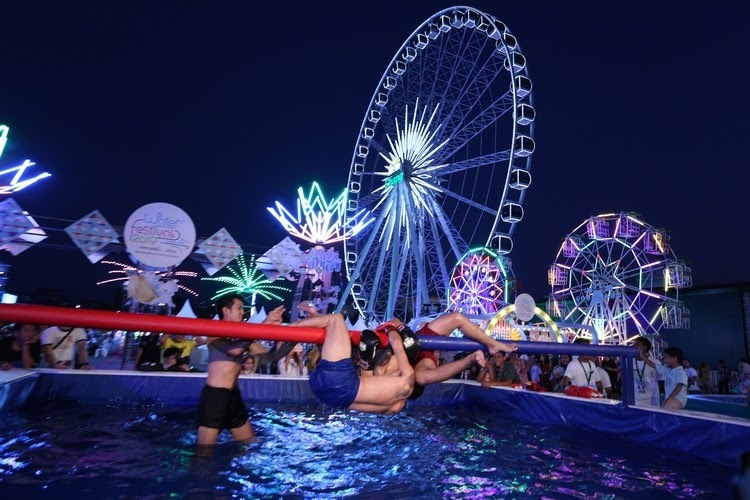 Moreover, this year marks a special year in cooperation with the Department of ASEAN Affairs, Ministry of Foreign Affairs for the "Water Festival 2019." Which is another big event organizes to support government policies to allow Thailand to be the center of cultural tourism that tells Thai culture to the world with the concepts of the ASEAN Cultural Year 2019: Diversity, Creativity, and Sustainability. 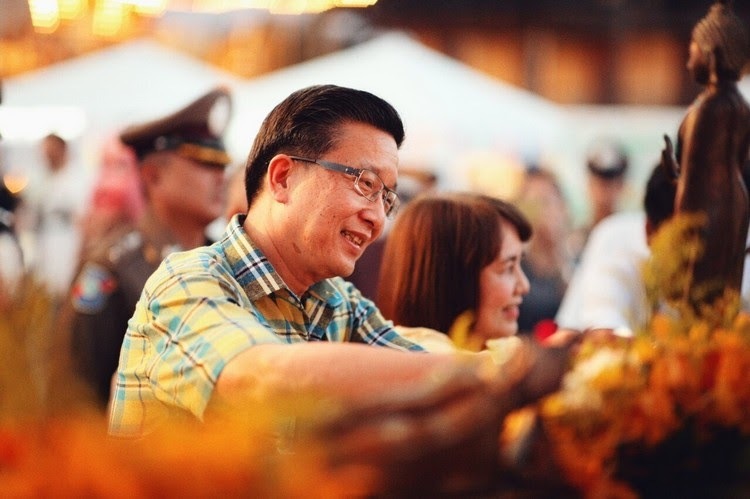 Therefore being included as part of the ASEAN Cultural Year 2019 is considered a cultural heritage of many nations in ASEAN, promoting the ASEAN cultural year to the wider public, and promoting the image of Thailand in the cultural dimension to lead to further cooperation in other areas in the ASEAN region. 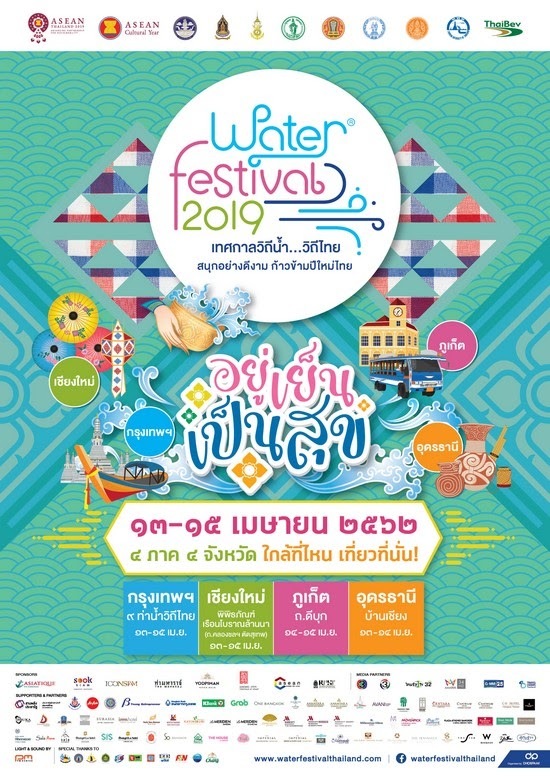 “Water Festival 2019" will be held in 4 regions of Thailand between 13-15 April, 2019. In terms of activity, the details for each province is full with great fun and the readiness to sprinkle water. 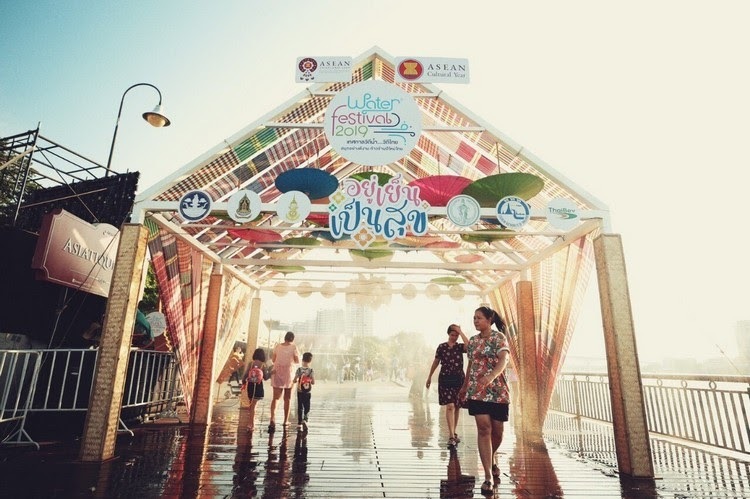 To join the Thai New Year event, the central region is organized in Bangkok in 9 waterfront places with historical significance, including Phra Chetuphon Vimolmangkalaram Temple, Wat Arun Ratchwararam Ratchaworawihan, Kalayanamit Temple Woramahawihan, Prayurawongsawasawarawihan Temple, Tha Maharaj, Yodpiman River Walk, Asiatique the Riverfront, Lhong 1919, and Icon Siam. The northern region is organized in Chiang Mai. The northeastern region is organized in Udon Thani. Lastly, the southern region is organized in Phuket. In addition, to create participation and sustainability for the community before the "Water Festival 2019" is to arrange the cleaning temple and the community activities with a giveaway of floral shirts. 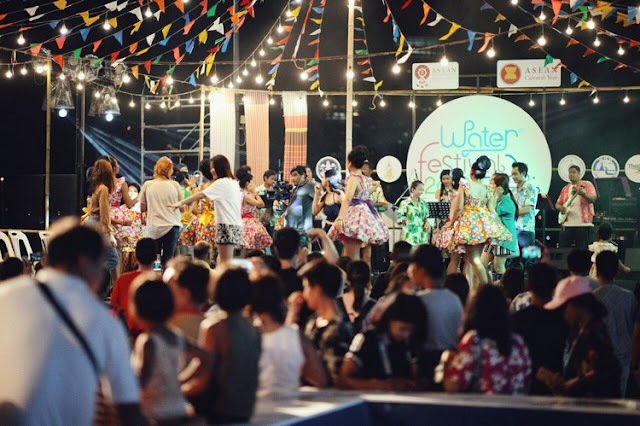 Furthermore, “The Water Festival Young Host” allows children and young people to share stories, history and identity of their community, creating pride and community tourism in the end. Prepare to experience the combination of the most beautiful contemporary and tradition Thai culture by welcoming the "ASEAN Cultural Year 2019." 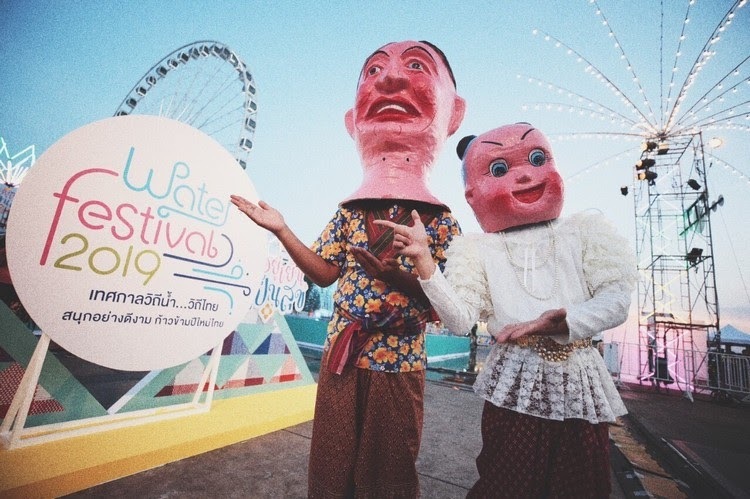 This festival will be held in 4 regions of Thailand between 13-15 April, 2019. Please see more updates on the festival at www.waterfestivalthailand.com and Facebook: Water Festival Thailand.